Inside the Historic Jail behind The Courthouse! Called the "city built on coal", the town of Walsenburg is home to some of southern Colorado's richest history. 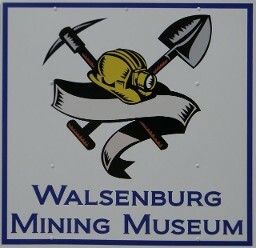 The Walsenburg Mining Museum, housed in an 1896 jail, exhibits not only the stories of Huerfano County's mining camps, but memorabilia from such notable characters as Bob Ford (famous for killing Jesse James) and labor leader Mary "Mother" Jones.